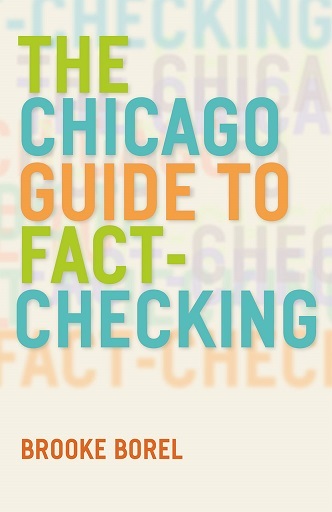 “If journalism is a cornerstone of democracy, then fact-checking is its building inspector,” claims Brooke Borel in her comprehensive and highly readable guide to fact-checking in the media. Although the processes of fact-checking differs depending on the types of information being checked (numbers, quotes, historical events, or anonymous sources, for example), Borel lays out the basics of why fact-checking is so important and how to begin the process. This book contains great information for both journalism and communication students but also for anyone interested in how the media works. This entry was posted in new stuff tuesdays and tagged communication, factchecking, fake news, journalism, journalists, mass media, media, news. Bookmark the permalink.